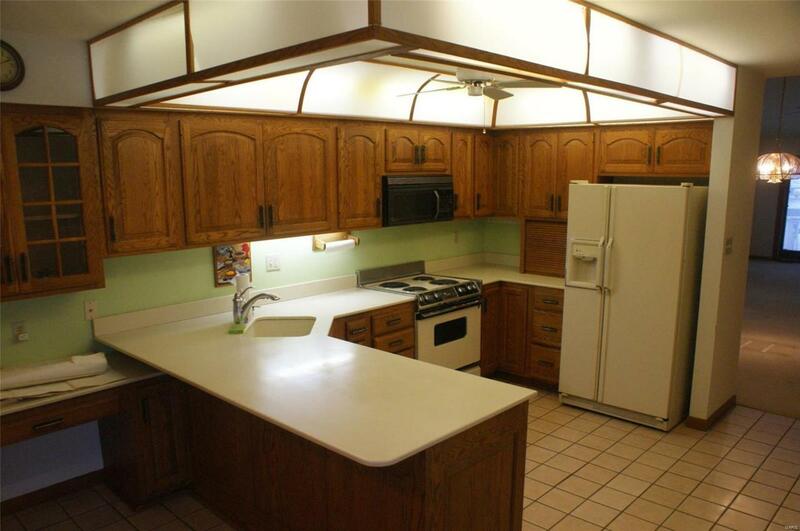 Open floor plan with two main floor bedrooms and two full bathrooms. 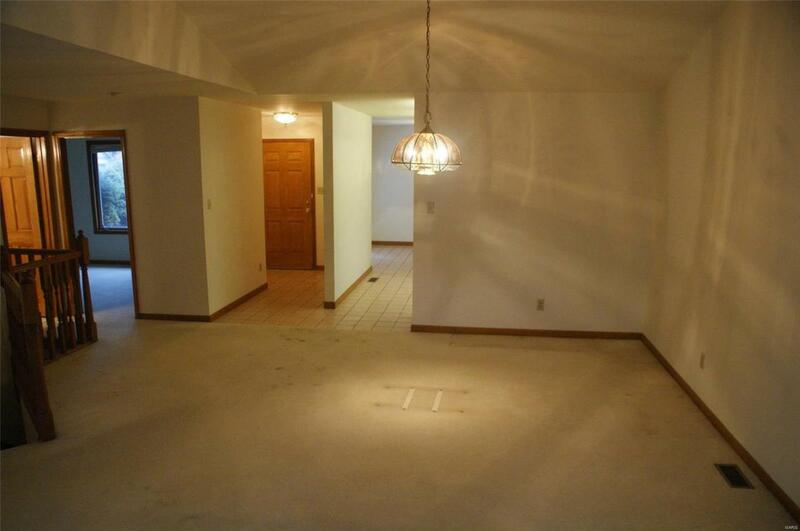 Full unfinished basement for lots of storage. Laundry could be relocated in breakfast room double-pantry closet area. 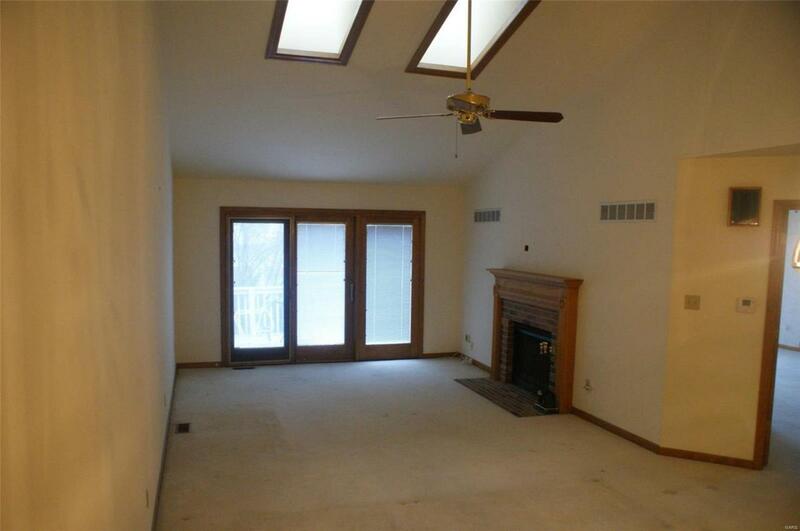 There is a gas fireplace, skylights and a vaulted ceiling in the living room. 2-car attached garage with off-street parking area for guests. Deck is in need of replacement and jet tub is not working. This is a one-street, 15-unit development that is well managed. The monthly condominium fee is $260.00 due on the 1st of each month. There is an additional $40.00 monthly special assessment for 2019 for miscellaneous Starboard Side Improvements. Complex is managed by Efthim Company Realtors. No rentals allowed. See declaration for age restrictions. 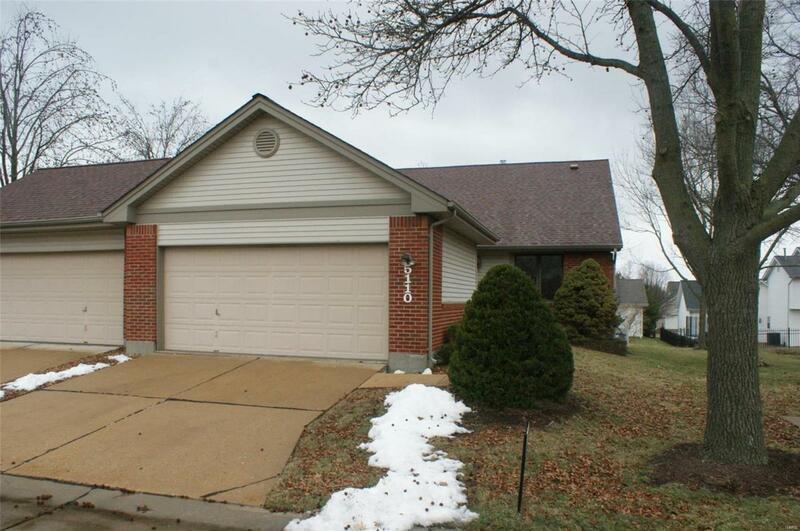 Listing provided courtesy of Mueller & Neff R.E. App.Co.. Listing information © 2019 Mid America Regional Information Systems, Inc.